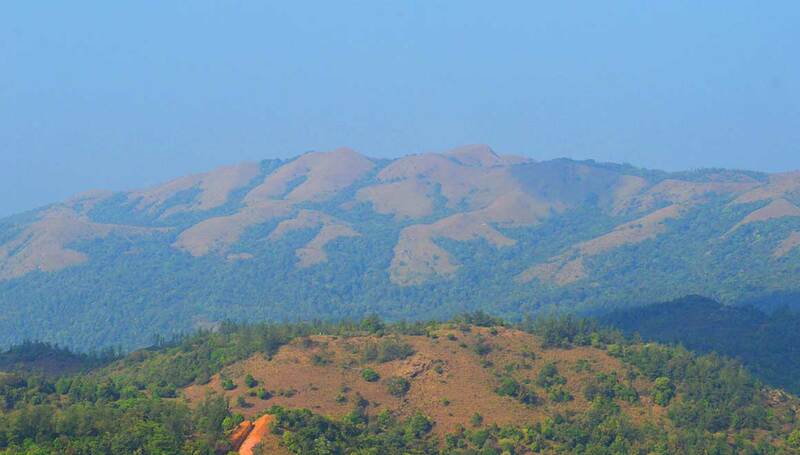 Coorg, ‘The Scotland of India’ also known as Kodagu, is a rural district in the Southwest Indian state of Karnataka. 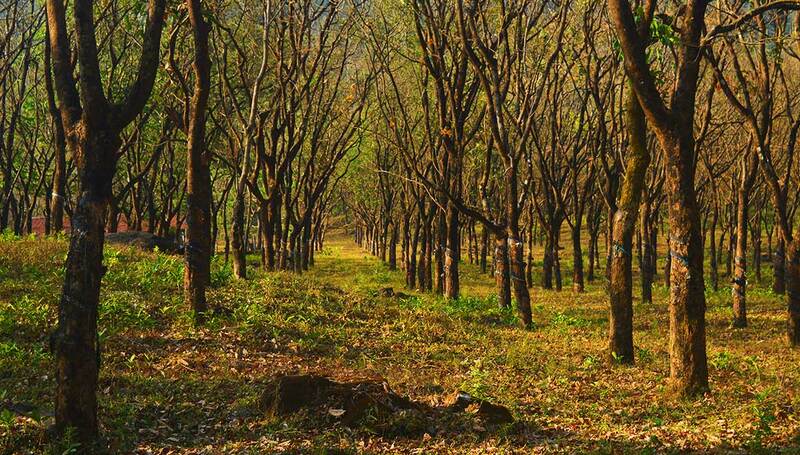 To explore Coorg, We need at least a week. But somehow, I managed to visit some good places in just two days. 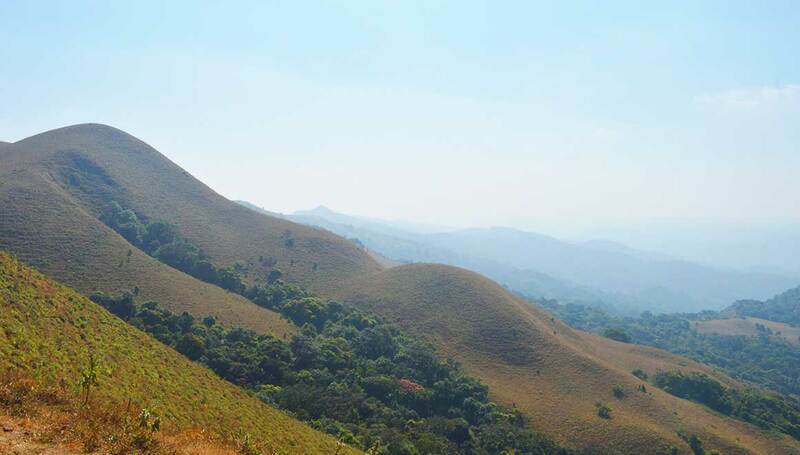 So if you have just two days to explore Coorg, then my plan might suit you. Best time to enjoy the serenity of this beautiful place is from June to March. 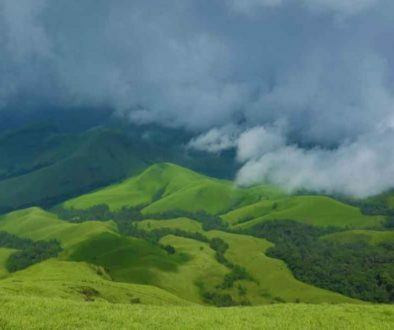 Visiting Coorg both in monsoon and post monsoon are treat to your eyes. During monsoon, heavy rain and fog enhances the beauty. 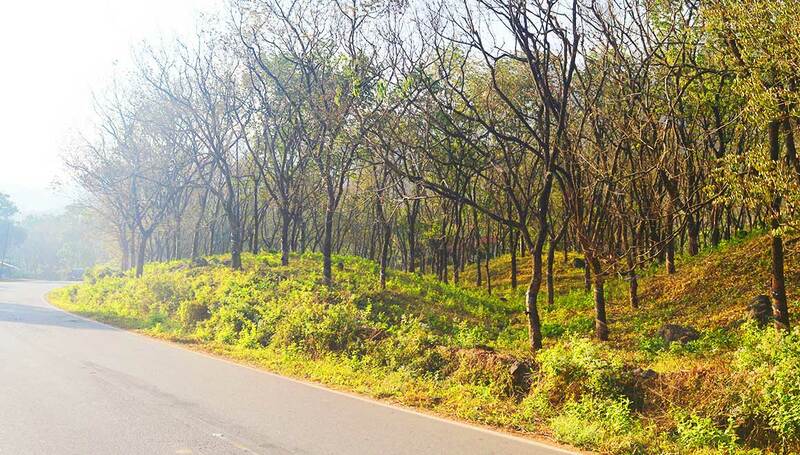 Post monsoon, whole Coorg will be very chilled and green. 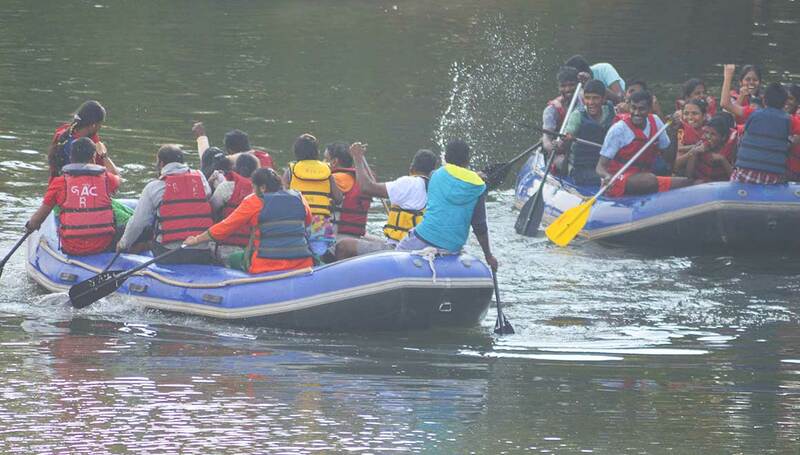 Coorg is destination for all types of travelers. It has hill stations, temples, water walls, adventurous sports like trekking, rafting, farm touring places and lots more. People out there are great in hospitality, They let you stay in their own houses. Due to which you get to see and live according to their lifestyle. They don’t let you feel like you are away from home. 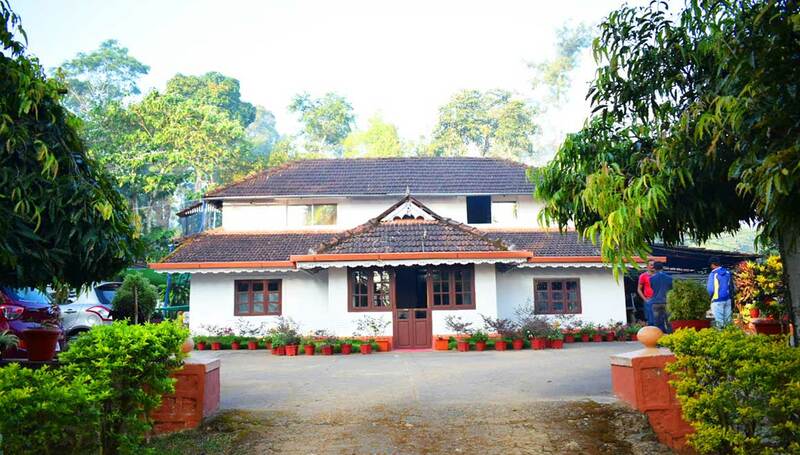 Because of this, the concept of home-stay is famous in Coorg. Home-stay is also very economical and a friendly place to stay during your holidays. I had noted down the tourist places to be visited in our two days trip to Coorg. 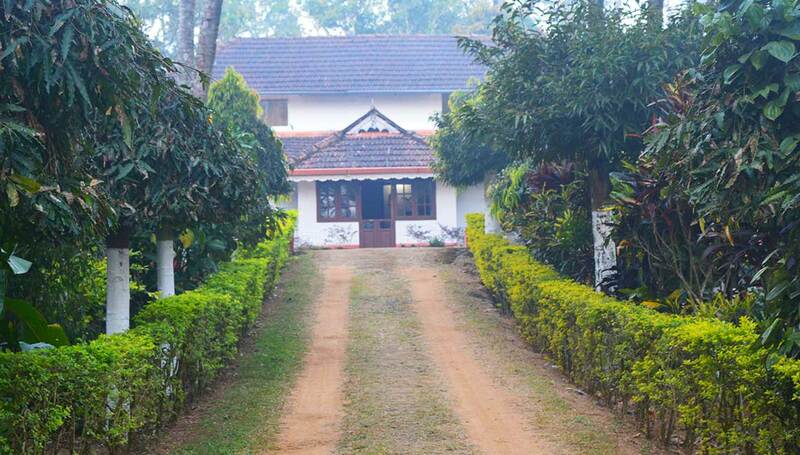 The date was fixed and we had to find a place to stay in Coorg. Since it was the weekend and the year end too, already all the hotels and home-stays were full and slightly overpriced. One of my friend made use of his contacts and managed to find a good home stay near to Virajapet town. Since I am from Mangalore, my trip starts from this place only. We started on 30 Dec early in the morning at around 6.00a.m. Early morning drive is much better, as less traffic and morning views of hills are so mesmerizing. We headed towards Madikeri hill station town in Coorg which is around 138kms from Mangalore and takes about 3.30 hrs of driving. Coorg and Mangalore are well connected with a very good state highway. On the way, We had to pick two of our friends from Puttur. We had our breakfast in Puttur and picked those two friends and headed towards Coorg. Just after passing Sullya, Sampaje ghat starts. Awesome driving experience starts from here, Its a 55 km of smooth & uphill drive surrounded by beautiful mountains. 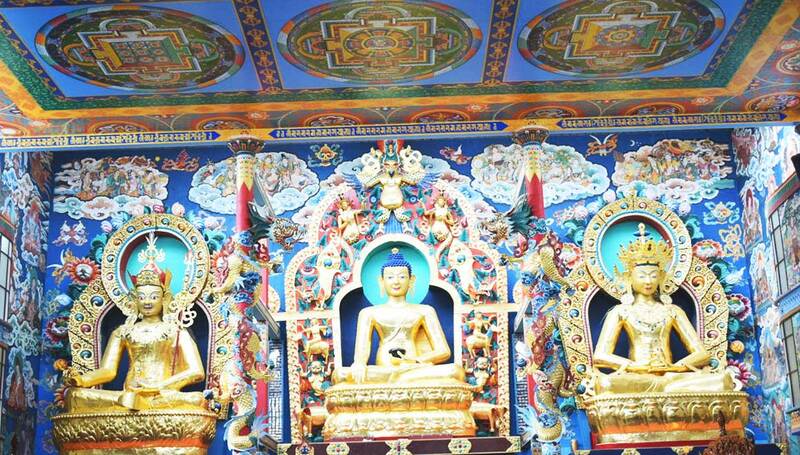 As per my plan our first visit was to The Namdroling Nyingmapa Monastery or the Golden temple in Kushalnagara which is around 31 km from Madikeri.. We reached there at around 10.00am. The Namdroling Nyingmapa Monastery is the largest teaching center of the Nyingma lineage of Tibetan Buddhism in the world. 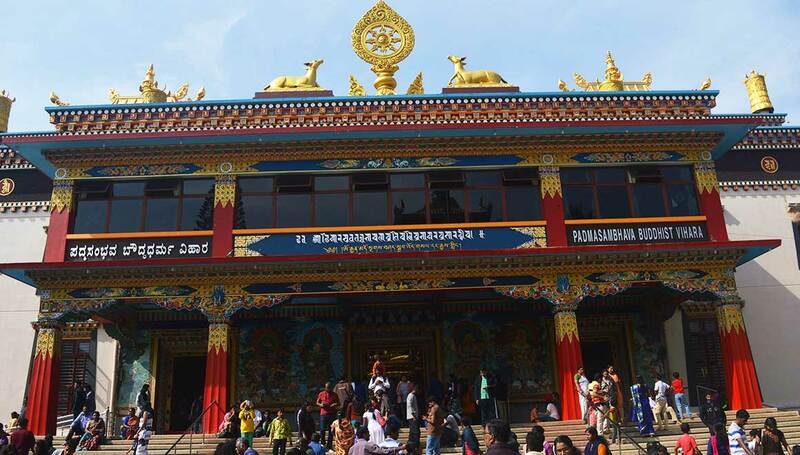 Namdroling has been dedicated specially for the study, practice and preservation of Vajrayana Tibetian Buddhism and is home to over 5000 Tibetian monks. 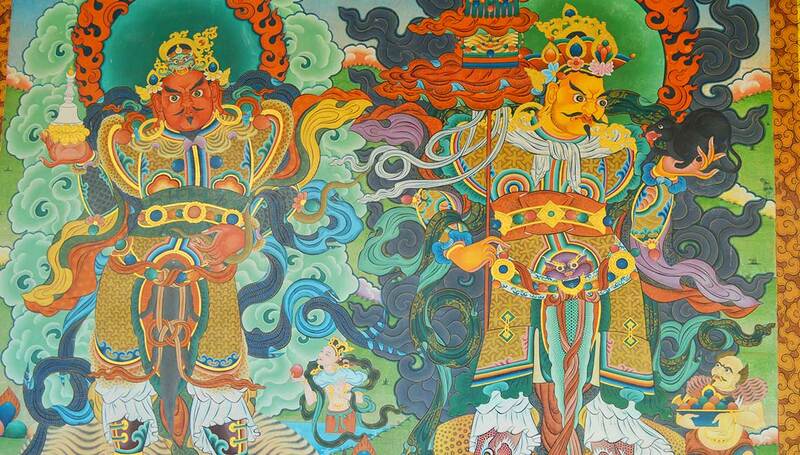 You can see beautiful Tibetian style architecture and artworks in this temple and its surroundings. This place is so silent and peaceful and best place for meditation. We spent almost 1.30 hrs in this place and then decided to leave for our next destination, Dubare – Elephant camp. On the way to Dubare, there are two more places you can visit if you have enough time. One is Harangi dam and other one is Kaveri Nisargadhama. Before you visit Harangi dam, find out whether there is enough water and is it allowed to visit the dam. We didn’t have plans to visit these two places, hence straight away reached Dubare. River rafting and Elephant camps are the main attractions of Dubare. 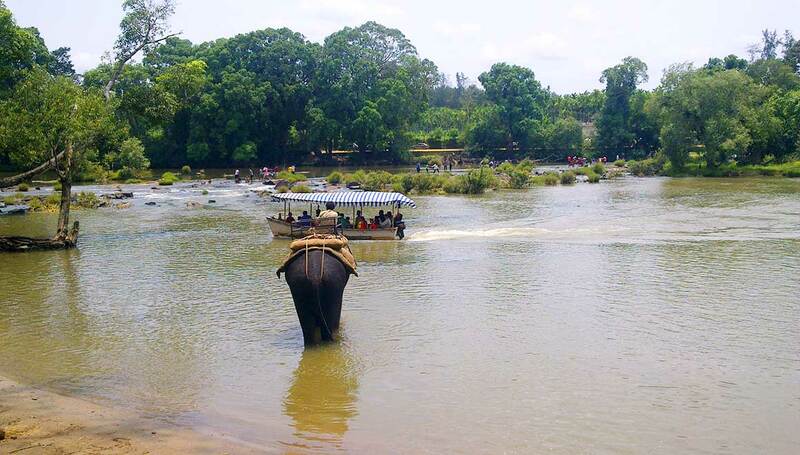 To visit the Elephant camp you have to cross the river by boat. Also you can try river rafting in this same place. This place is so crowded often, So I would prefer that you visit the elephant camp and do river rafting in some other place on the way back to the main road. There are many river rafting spots available. 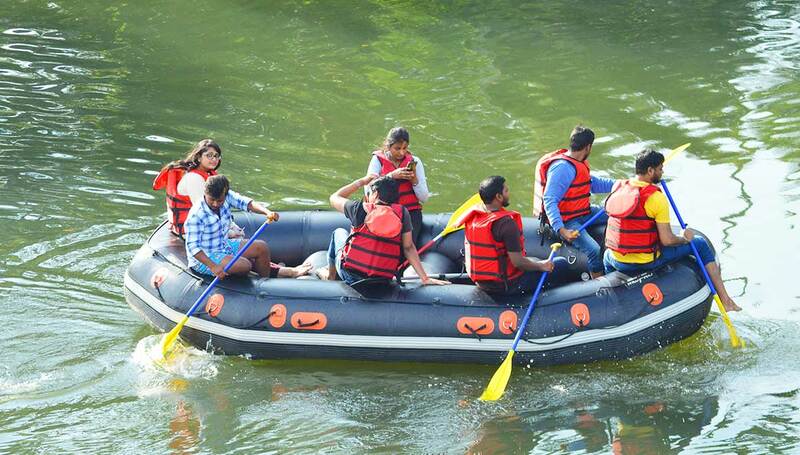 The attraction and thrill of river rafting depends on the time you visit this place. During rainy season, It will be too adventurous as there will be strong water flow. But at this time river is very calm, still you can paddle and enjoy. After paddling and rafting for nearly 45 minutes, we were exhausted and hungry.We had our lunch in the small restaurant nearby, where we enjoyed good and tasty local food. It was 3.30 pm when we started back to Madikeri from Dubare. Raja seat was our next destination, which is a small park with a musical fountain, train for kids and a beautiful location to view sunset. Sunset time was around 5.45p.m., but we reached much early than our plan. We relaxed under the trees and clicked some pics. In the meantime people started gathering to occupy their seats in the newly built gallery to view the sunset. I can always watch sunset from the beach as I live in the coastal city Mangalore. But watching setting sun from the mountains is so soothing and peaceful. It was really a magical view. Just as soon as the sunset, it was all dark suddenly. After enjoying the sunset we left to our home stay which was booked on the way to Virajpete. 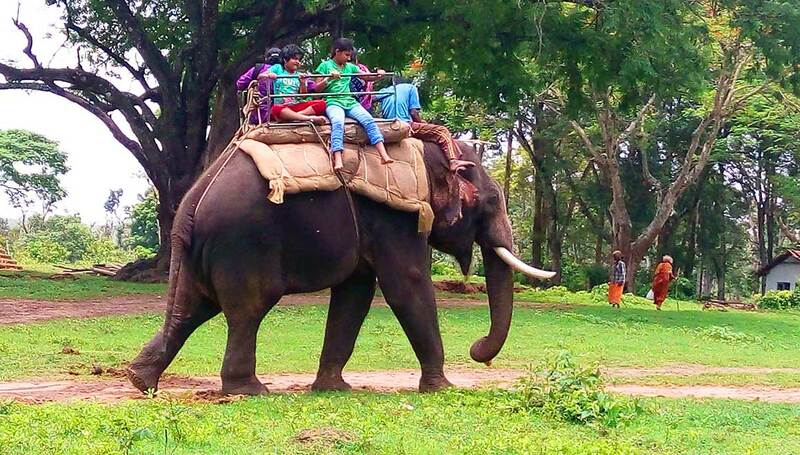 It was about 30 minutes drive from Madikeri to our home stay. But we took more time because of the less maintained road and darkness. Finally we reached our home-stay, which was located right in the middle of the coffee estate. We couldn’t see anything except the feel of driving through the forest. It was so silent and cold.. We reached our home-stay at around 7.30pm. Everybody freshened up and got ready for the dinner. By 8.30pm our dinner was ready and served. Its was so good and we tasted all the local dishes, which we never tasted. Our home-stay was so well maintained that we felt as if we were staying in our own house. Everybody were so tired and slept quickly, all had a good sound sleep. For the Next day our plan was to leave our home-stay by7.30am. So We all woke up around 6.00 am packed our bags and got ready. It was a foggy morning and we couldn’t see anything except our home stay. But as the time passed fog cleared out and we got to see the coffee estate, mountains surrounding by and some houses far away in the hills. It was such a nice view, We never thought it would be so good surrounding. Our breakfast was served at 7.00am. It was soft idli, sambar and coffee. Once again a good food, very delicious. We left our home-stay as per our plan and drove towards our next destination, Mandalpatti. 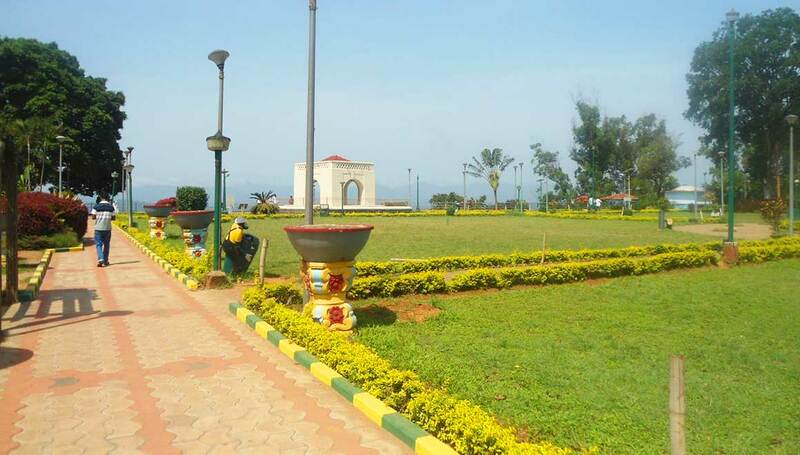 Mandalpatti is around 21kms from Madikeri city. 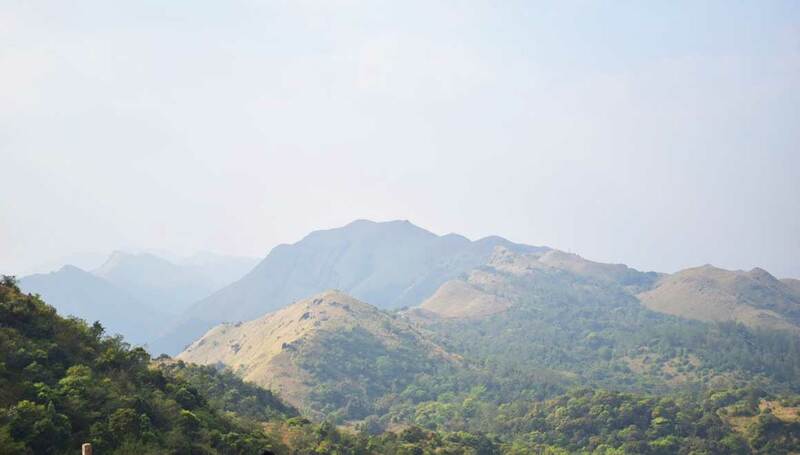 Mandalpatti or Mugilu pete is at an altitude of 1235m which is located in Pushpagiri reserve forest. We can reach to the top only by 4×4 jeep. If you visit Mandalpatti during monsoon or just after the monsoon, you can feel the beauty of this place covered by dense fog. But if you visit after November you can just see the beautiful landscapes & mountains all around. 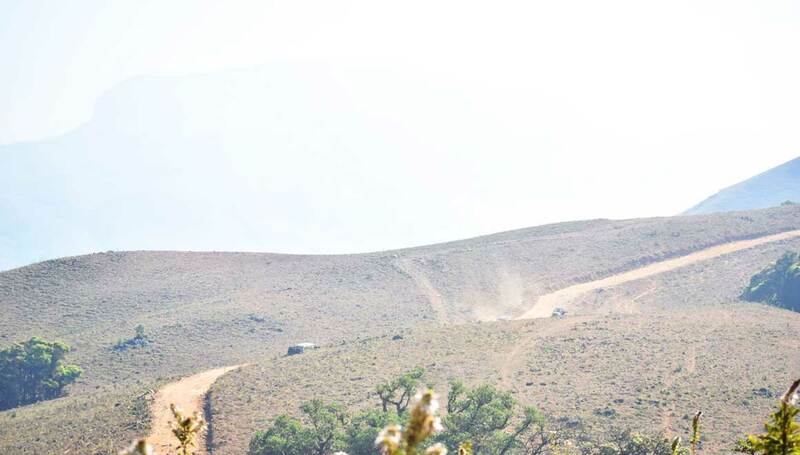 Road to Mandalpatti is very bumpy, if you love your car then better go for a jeep drive. It is a best experience in jeep. After a thrilling jeep drive uphill and downhill and beautiful clear views we reached back to the base from where we started our jeep drive. Abbi falls is nearby and easily can be visited. But we skipped it , as many of us have already been to this place. 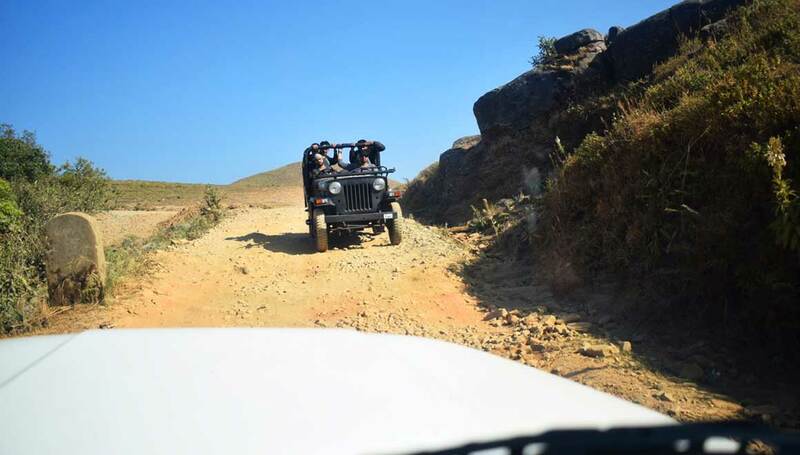 After this bumpy jeep drive our next destination was to Talakaveri. 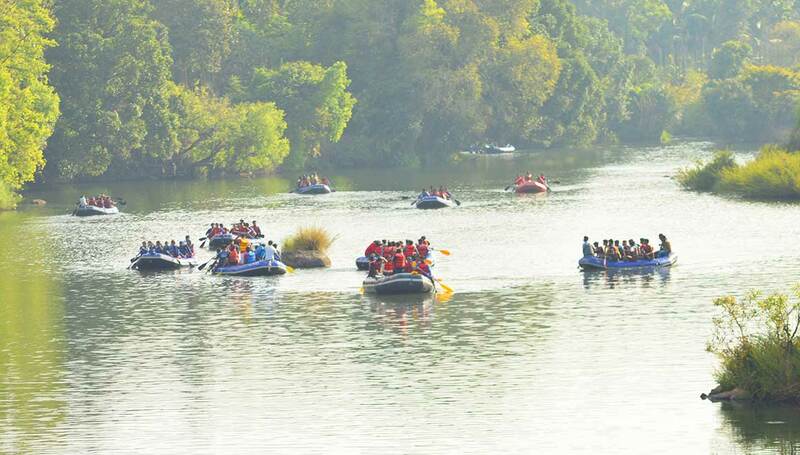 Talakaveri is around 44kms from Madikeri and it is the birth place of River Cauvery, a holy river. Talakaveri is a famous pilgrimage center too. 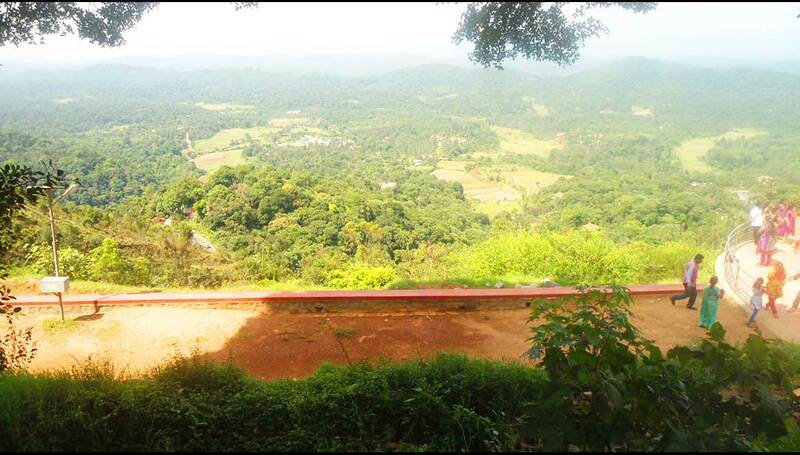 On the way to Talakaveri, you can visit one more famous temple Bhagamandala. We changed our plan and first visited Bhagamandala. It was around 1.30pm when we reached this temple. They serve free lunch to the devotees in this temple. We worshipped god, had our lunch and then left for Talakaveri. Talakaveri is just around 8kms from Bhagamandala. 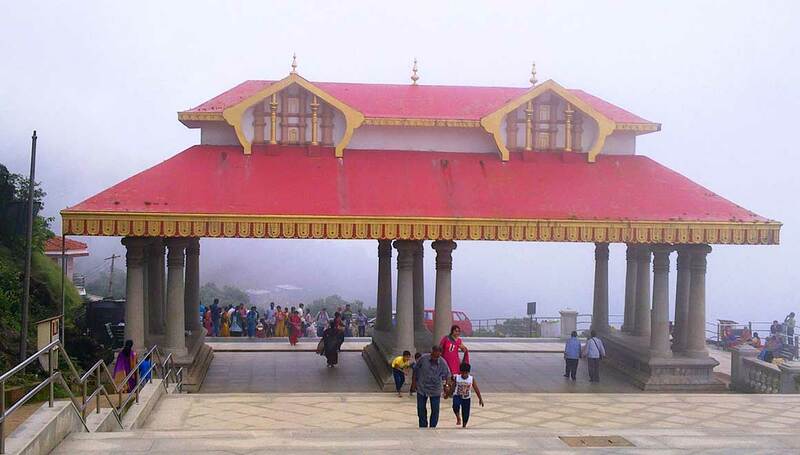 Talakaveri is at an altitude of 1276m, is a beautiful pilgrimage center as well as nice viewing point. You have to climb up the hill next to the main temple premises for the viewing point. Most of the time this place will be covered with fog. But at this time of the year it was all clear and we could see beautiful mountain view. It was around 4.00pm and Talakaveri was our last destination. We had covered all the places as per our plan, hence decided to drive back to Mangalore with some unforgettable memories that we will cherish forever. On our way back home there are lots of shops selling best coffee powder, spices, honey, home made chocolates, all locally made. All these things worth buying. We bought it and headed towards Mangalore. From this place, Mangalore is 144 kms and would take 4 hours to reach. It was dark when we were driving down in the ghat roads. Roads are good, but try to drive safely because it has lot of curves and way too much of traffic on the road due to lots of tourist vehicles. We stopped at Puttur to drop two of our freinds. After that straight drive to Mangalore and we reached by 9.30pm. We were fully exhausted, but very happy too. It was a thrilling and adventurous journey overall. This was two days trip plan to Coorg from Mangalore. 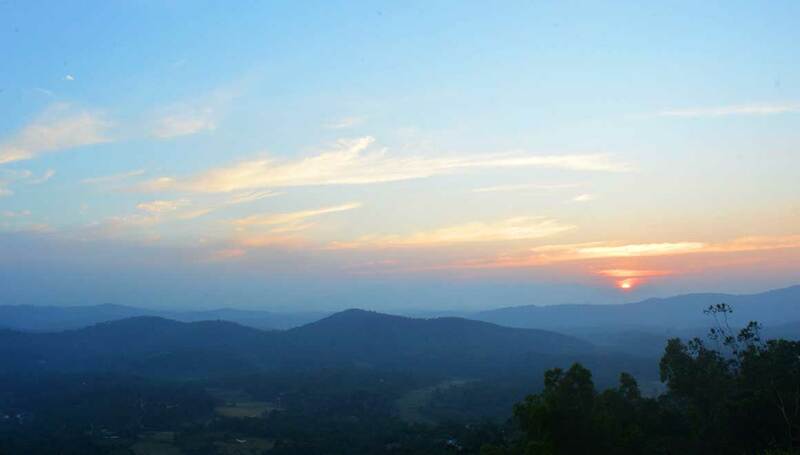 There are lot more beautiful tourist locations worth visiting in Coorg. If you are planning 3 to 4 days, then you can cover most of them. 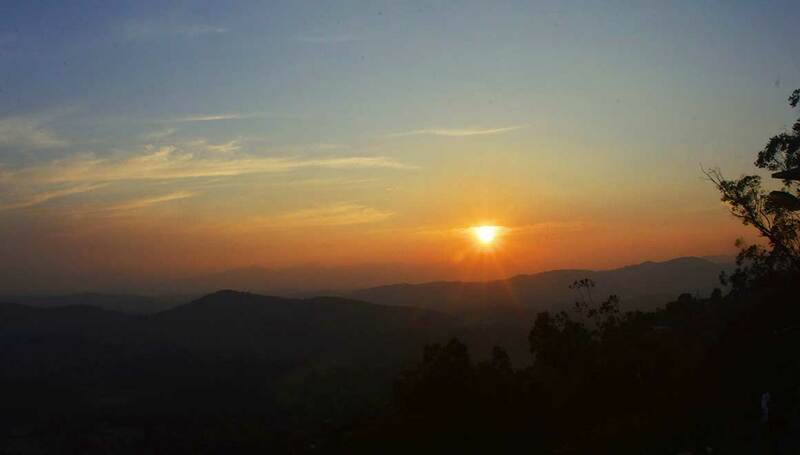 Although the weather is good throughout the year, but the Best time to visit Coorg is from October to March. And If you want to experience the heavy rain, fog and gusting waterfalls then plan your trip in rainy season i.e. from June to September. 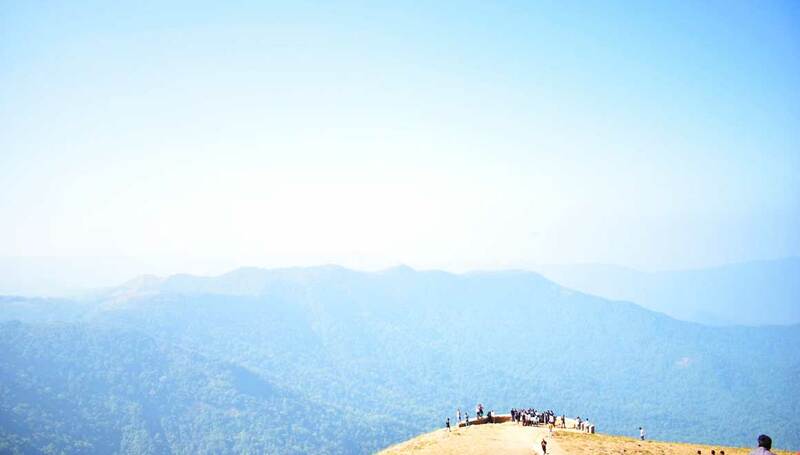 We hope that you like this small and simple story and plan your next trip to Coorg, The Scotland of India. 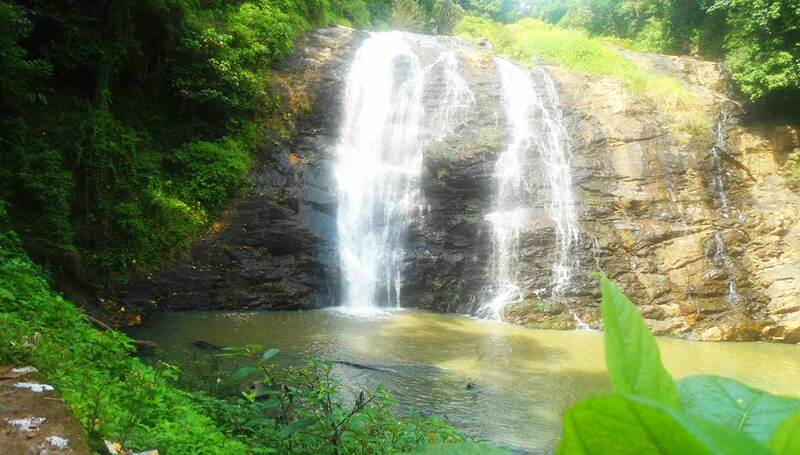 Kudremukh – The Trekker’s Paradise	Doodhsagar Waterfall.. The unexpected journey.